← The time to apply to Penn State is NOW! Penn State is joining a diverse coalition of public and private colleges and universities with the goal of improving the college admission application process for all students. The Coalition for Access, Affordability, and Success is developing a free platform of online tools to streamline the experience of planning for and applying to college. The planning tools will be available to high school ninth, tenth, and eleventh grade students beginning in January 2016. Coalition member institutions hope to recast the college admission process into to a more engaged, ongoing and educationally positive experience. They also hope to motivate a stronger college-going mindset among students of all backgrounds, especially those from low-income families or underrepresented groups that have historically had less access to leading colleges and universities. The Coalition currently includes more than 80 public and private universities and colleges across the United States that have made a commitment to make college affordable and accessible for students from diverse backgrounds, and for students to be successful in completing their education. 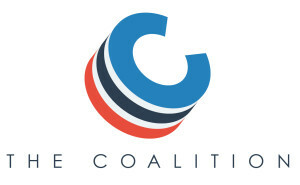 The Coalition, which continues to add members, will work over the next few months to develop tools and processes that are intended to lower many of the barriers that prevent students from attending college or successfully earning a degree. “The college admission process today can be stress-inducing and we know it can present barriers for all students, especially for those who are the first in their family to attend college,” said Zina L. Evans, vice president for enrollment management at the University of Florida. Later this year, the Coalition will share details about new college planning and application tools that will streamline the admission and financial aid processes and allow students to begin planning for college much earlier in their high school years. The online tools—which will include a digital portfolio, a collaboration platform, and an application portal—seek to reshape the process of applying to college as the culmination of students’ development over the course of their high school careers, reducing the unfamiliarity of the application and leveling the playing field for all students. The application will add another option to all the ways that students currently apply for college. Many Coalition schools will accept applications through the portal in the summer of 2016. For example, research has found that students from disadvantaged backgrounds often do not participate effectively in the college application process, struggle with applying for financial aid, and often do not get awarded all the financial aid they qualify for. As a result, even the most highly qualified students either do not attend college, attend a college that does not engage their full potential, or do not complete their degrees. Attending a high school with a college-going culture greatly increases students’ college success. The Coalition hopes to address these findings through its free online tools and increased transparency around admissions and financial aid. Members of the Coalition include a diverse group of public universities that have affordable tuition along with need-based financial aid for in-state residents, and private colleges and universities that provide sufficient financial aid to meet the full, demonstrated financial need of every domestic student they admit. Coalition schools graduate at least 70 percent of their students within six years, with many having much higher graduation rates. The Coalition’s online portfolio of college planning tools will be open to high school students starting in January 2016. Additional details about the application process enabled by the platform will be announced before summer of 2016. More information can be found at coalitionforcollegeaccess.org.